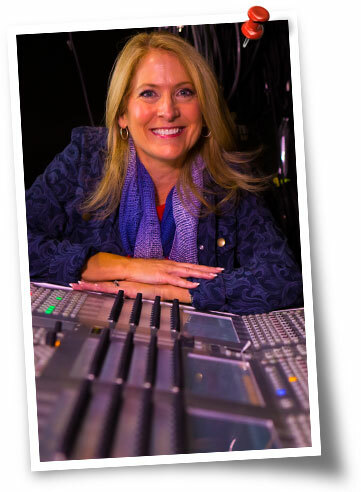 When it comes to female voice over talent that’s versatile, experienced and highly regarded in the industry, Debbie Grattan is it. With more than 22 years in the voice over industry, Debbie’s background includes a degree in drama and acting roles on stage and TV. Her acting background serves as a strong foundation for her voice over work, which has included projects that range from character voice overs to infomercials, and clients that span from Verizon to BMW. As more than 185 five-star client testimonials and reviews attest, Debbie is a female actor that gets the job done, and done right, every single time. Feel free to check out the Top 10 Reasons to Hire Debbie or her Voice Over Talent Bio page for more information. Or browse the voice over categories on this page to get a better feel for the full scope of what Debbie can do for you. Radio and TV commercial voice overs have long been the ideal way to explain and promote products, and the right voice for the commercial can make or break the entire ad. Although TV commercials do feature images on the screen, both radio and TV commercials typically involve a voice over actor that is not seen by the viewing audience. That means the voice has to be strong and articulate – while setting the mood and connecting with the target audience. In addition to making an emotional connection with the audience, the best radio and TV commercials will often use a dash of appropriate humor and simple storyline, feature highly relatable situations and characters, and rely heavily on voice over to bring the story to life. The audience not only needs to like the sound of the voice over, but they need to trust it as they’d trust a respected friend. Narration voiceovers can include everything from corporate narration videos to instructional tutorials, from PowerPoint presentations to virtual home tours. The common bond that all narration voiceovers share is the need for a pleasant, personable voice over actor that can keep an audience engaged for the long haul, throughout the entire duration of the presentation. While the overall sound of the voice over needs to be likable by the audience, it also needs to align with the tone and style of the project at hand. Corporate narration videos typically require a professional, authoritative tone, while instructional tutorials and PowerPoint presentations tend to do best with a voice that sounds knowledgeable without talking down to the audience. Narration voice overs that accompany virtual home tours and similar projects often need to convey believable excitement that audience members automatically begin to feel for themselves. Infomercials and direct response advertising are geared toward getting a response from the audience, and the right voice over artist for the job can help ensure that response is both immediate and positive. While the product or service being featured in an infomercial or direct response advertising is obviously important, so is the voice that goes with it. Infomercial and direct response advertising voice overs need to effectively discuss, explain, demonstrate and promote the product – all in a way that prompts the audience into action. Believability is a must for infomercial and direct response advertising voice overs, as is trustworthiness and enthusiasm. This type of voice over is no longer all about the loud, announcer-type voices that would yell while 1-800 numbers flashed on the screen. It’s more about connecting with the audience in an authentic way after quickly grabbing their attention. Effective character voice overs involve much more than creating a voice that sounds like a certain character. It’s about actually becoming that character, using only the power of the voice. A giant plus for character voice overs is finding a voice over talent with an acting background, preferably one that has been both formally trained and experienced in putting his or her skills into action. Although character voice overs can require intense and serious concentration, they also give the voice over actor the opportunity to really let go and have some fun. The most experienced voice over professionals will easily let their passion and enthusiasm shine through while truly making that character come alive in the minds and hearts of the audience. Phone-related voice over services can include on-hold messages, robo-calling message, outbound telephone marketing messages and campaigns, phone prompts, auto attendants, voicemail tress and a number of other options. The key to effective phone related voice over services is ensuring the voice at the end of the line is not one that repels the audience. Whether you’re trying to keep someone on the line while they’re holding, or simply trying to stop them from hanging up the minute they realize they’ve answered a robo-call, you need a voice that is soothing, pleasant, easy on the ears, and aligned with the message your company is attempting to convey. As a predominantly audio device, telephones place a heavy emphasis on the voice. The voice on the end of the line can immediately create an entire image of your company, so choose carefully and wisely.